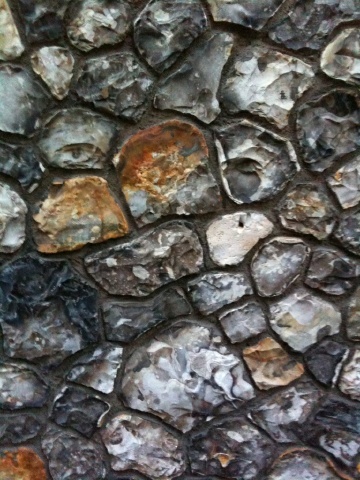 Designs based on the flint stone walls of the area - Kate Malone – Ceramics & Glaze research, London. Story Telling Wall, Carlton Hill, American Express Building, Brighton. With EPR Architects.